I sit and play Darkest Dungeon and take on the dreadful Siren in the Cove area. I explain a bit about the game, how it works and encounter some dreadful enemies as I explore the unknown depths of the DARKEST DUNGEON. As always you can purchase this game from GOG.com completely DRM-Free. 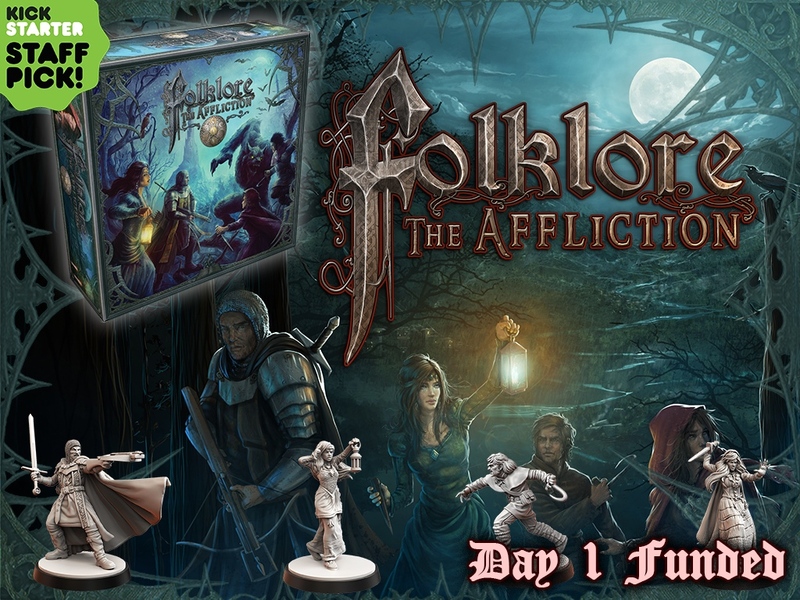 I sit and talk to Will about the Gothic Horror board game, Folklore: The Affliction which is currently being funded on Kickstarter. We discuss the idea(s) behind the game, the mechanics, characters and some unique aspects the game can offer players. The game has been successfully funded but there are always stretch goals that can be unlocked by more pledges. If you would like to fund Folklore: The Affliction follow the link located in the video interview below! SLASH has partnered with Guitar World in search of the ultimate cover artist. Starting today, Wednesday, March 13th, musicians can upload a YouTube video of themselves performing Slash’s new single, ‘Anastasia’, using the interactive guitar tab feature found here, and email the link to SlashSignedGuitar@gmail.com. The live video and interactive guitar tabs for the song were created by RealNetworks/Invu and enable fans to watch Slash perform ‘Anastasia’ live for inspiration. Guitar World magazine editors will choose the Top 5 contestants and the winner will be selected by Slash. The winning video will receive a guitar from Epiphone/Gibson signed by Slash. For more details, visit Guitar World online here. – Video must be titled: “Slash – Anastasia (Cover Contest)”. – All entries must perform Slash’s new single ‘Anastasia’ only, upload their performance using the interactive guitar tab and email the link. – All entries must be a minimum of at least 30 seconds, but it is not necessary to perform the entire song. – All entries must be uploaded from March 13th through March 20th. The winner will be contacted through a direct YouTube message and the signed guitar will be delivered by April 30th. Once in a while an authentic and organic collaboration between artists and brands comes along. After introducing his first two music apps last year, Grammy-winning, iconic guitarist and Rock And Roll Hall Of Fame inductee Slash got a call from Rovio, the creator of the popular mobile game Angry Birds. A longtime fan of the game since it debuted, Slash and Angry Birds Space have partnered to create the SlashBird character, a theme song performed by Slash and a ringtone. Click here to experience Slashbird, the exclusive ringtone and t-shirt (see photo below). Check out Slash’s exclusive Q&A with Mashable, regarding artists and music/tech partnerships, at this location. Slash Featuring Myles Kennedy and The Conspirators are currently embarked on their world tour in support of their studio album, Apocalyptic Love. It spawned Slash two first-ever #1 rock radio hits with ‘You’re A Lie’ and ‘Standing In The Sun’. Meanwhile, the album’s third single ‘Anastasia”’is on track to break the Top 25 at Active Rock next week. The album was produced by Eric Valentine, who did the same honors for his first solo disc Slash, and all the songs on Apocalyptic Love were written together by Slash and Myles Kennedy. I know this isn’t a board game but still I like to play video games on occassion too and I feel this warrants a mention on the site. For all the old school PC gamers out there you probably already know that Wasteland 2 via Kickstarter has been in production for sometime now. InExile has just released some game play footage that showcases some early combat and mechanics and also some artwork and voice acting that really helps set the tone for the game. I have to admit. This looks really, really promising. If you are a fan of turn based isometric type games with an updated feel check out the video and leave a comment on what you think about it.